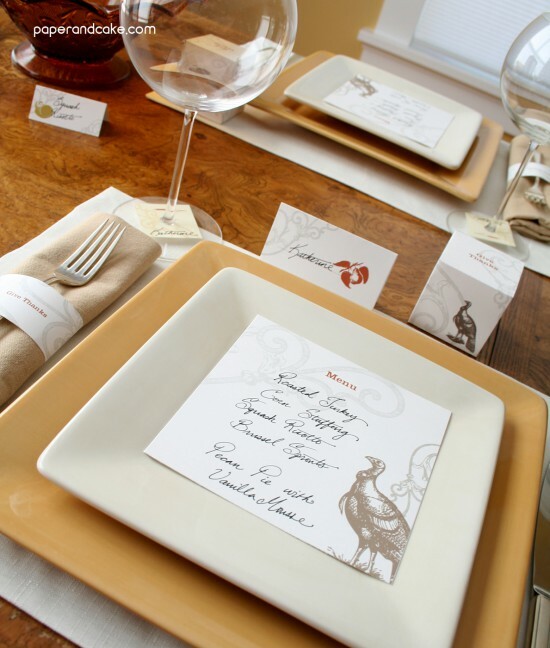 This Thanksgiving marks the one year anniversary of Paper & Cake printable partyware, and it has been quite the year! We want to show our appreciation for all of the support you have given us – with your business, your blog posting and your kind response to this creative endeavor – by offering you a little thank you gift. Download yours and thank you again for a great year! These will look great at our Thanksgiving table. Oh my goodness! Thanks so much! These are truly beautiful. wow! I've just found you have a blogspot!!!! This is Rosanna, from Spain, interested in your pirate birthday package. I'm going to have a careful look at your posts. How have I not seen your blog before? 🙁 I would have loved to have known about this place a long time ago…lol. OK, I am a new follower and hope to use you for my next party. 🙂 Thank you so much for what you offer!! Love it! Well done, thanks for sharing. Just found the site, love the Thanksgiving themed package. I featured your blog on my blog this morning. Shared this post on http://www.swankychicks.blogspot.com. Thanks Ladies its wonderful! LOVE this!!! But it won't show me a place to "click" to download? Looks like the link no longer works. Will this be made for purchase? I'd love to use it for the upcoming holiday! Hi Ladies… our '09 Thanksgiving collection is being updated as we speak 🙂 we will repost and relink next week! Wonderful to know there is an update! I'll be looking for the it, as I link back to this printable from my website. can't wait! this will be perfect! !